Just another day?…NEVER! 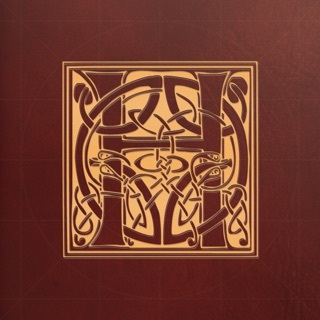 With Today in History, the #1 daily historical event application, every day is historic and epic! 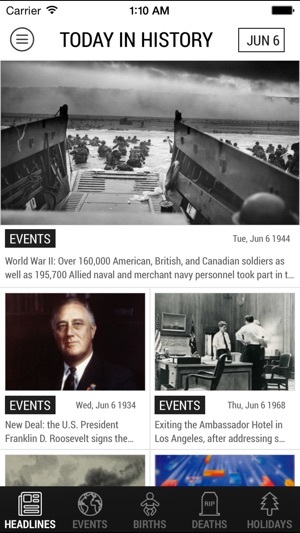 Today in History is the BEST way to get key facts about iconic global events and fun facts from across the centuries, delivered right to your mobile device. Our reminders will make sure you're never out of the loop. We bring you the most important, epic, and memorable moments in history. *** Find wisdom in quotes from historic figures. *** Immerse yourself in the images that capture historical events as they happened. *** Feel the emotion of the headlines that made the world stop and take notice. · Check it in the morning to get your brain pumping to start the day! · Post your favorite fun facts to blogs and social media for inspiration and perspective! · Share your favorite events and educate your friends and family! 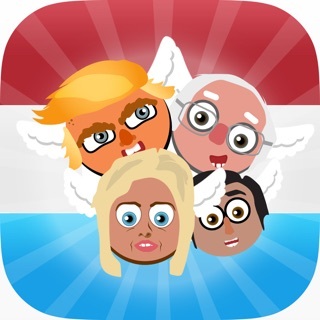 · Challenge coworkers and friends with historical trivia! 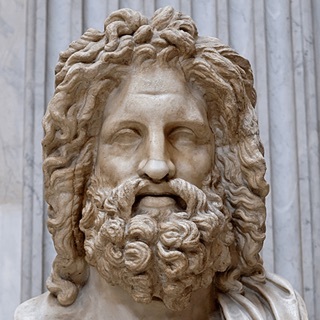 · Quote of the day: Timeless wisdom from iconic historical figures. · Images: Visual representation of every event, headline and quote. 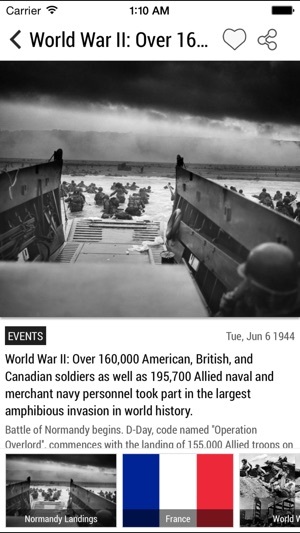 · Headlines: Details on major events that have shaped our world. · Categories: Focus on specific major events and get the full detail. · Share: Spread the word through links, images using FB, Twitter, email, and text. · Reminders: Receive epic notifications, several of them a day to give you some interesting tidbits. · Widget: See top event daily on your Today feed. · Watch: See top events, updated daily, on your wrist. · Sleek & Intuitive Design. 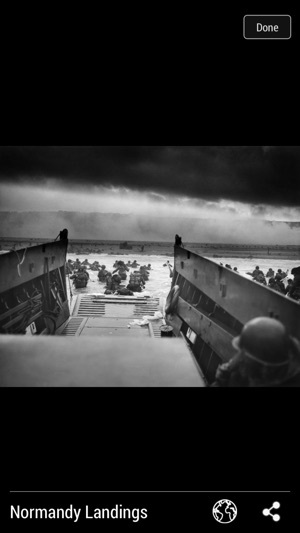 · Easy access to over 100k historical events. Feel free to reach out to us via email at info@tihapp.com or http://www.facebook.com/tihapp. We’re always listening to your suggestions to improve Today in History. If you have any issues with the app, let us know and we'll fix it. We appreciate your support greatly. You inspire us to make more great apps like Today in History! 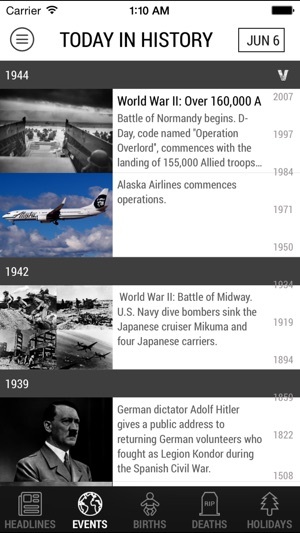 I think this app has a very broad and diverse amount of historical events that it displays. I always learn a lot, and I'm very appreciative of its mix of sports, politics, arts, etc. However, I do feel there are some major gaps. For instance, I haven't seen any events after 2014. It's 2017, and lots of major events (especially celebrity deaths) have occurred in the last two years that are not included on the app. Secondly, pop culture history is often not included. For example, major release dates of movies and music albums that have been considered by many sources to be iconic aren't included. A movie like The Godfather or Singing in the Rain should have mention, and I've just never seen those dates, but easily found them on Wikipedia. It's impossible to include all historical information, and I get that, but I'm hoping the developers continue to update it, as history happens every day. Up until this version I would give the app 5 stars but the latest has a couple of bugs I would like to see fixed before I give 5 stars again. I have used this app for years. I am a history teacher and like to tweet out On This Day (#OTD) information. The share button has been convenient and easy to use until the latest version. I believe there is a bug, when I click on one of the references at the bottom, instead of bringing me to the link it returns me to the list of events. Also, in previous versions, when sharing an event, a link to the information was added to the tweet, but that no longer happens. Can you please fix these bugs? Thanks! Allow customization to your history. I like American history because im american Good quotes of history, needs to be organized a little better. A few tweaks here and there and I'd give it a 5 star rating. This app is great for history magnets. 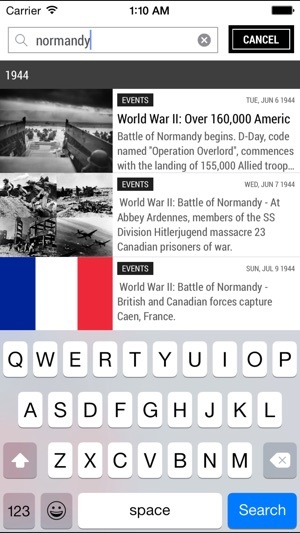 Give it a better search option for all countries and in depth details on that day and hours(if available) of how it played out. Anywhere from early morning in 1775 during the American Revolution War with Britain all the way to Landing on Normady Beach on D-DAY. But overall very useful.